Here is a quick video on keeping your scarves looking new and fresh between wearings. Photos from our first Pop Up venue. So nice to be able to have a boutique and fill the space with a library of scarves, wraps and ponchos. For our next scarf project we have purchased a beautiful floral line drawing and we will identify the flowers in this and add the flower names in Latin calligraphy. Then we start to think about color direction. It is always a pleasure when I find something truly special. Maneesha Ruia's wraps are exactly that. They remind me of the intricacy of Spanish lace mantillas, only these have a modern take. 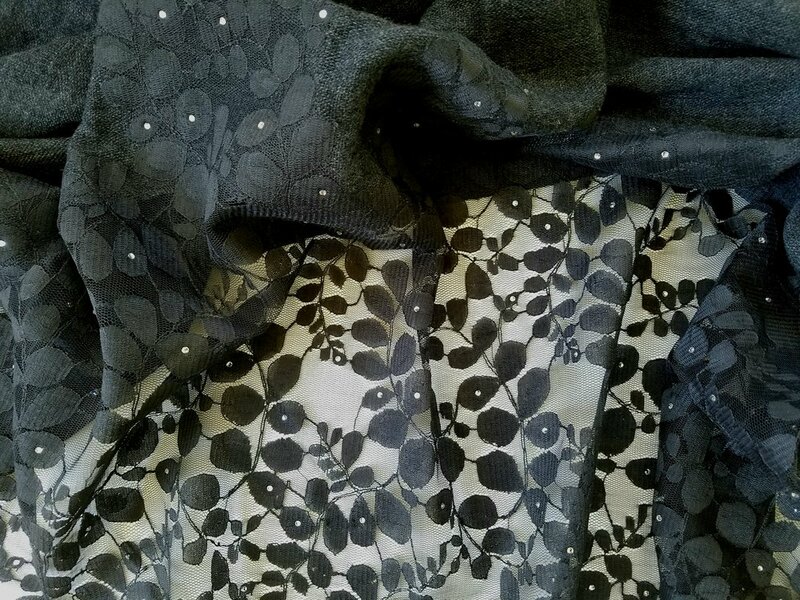 Her creations combine lace with a soft plain weave woven lambswool and then swarovski crystals are artfully placed on the lace; making for a delicate, yet richly detailed shawl. Here I am at this past year's Enchanted Forest Holiday Boutique put on by the Junior League of Greenwich, CT. Having the opportunity to get out there and show how to wear scarves and listen to feedback on the designs is the best part of this business.